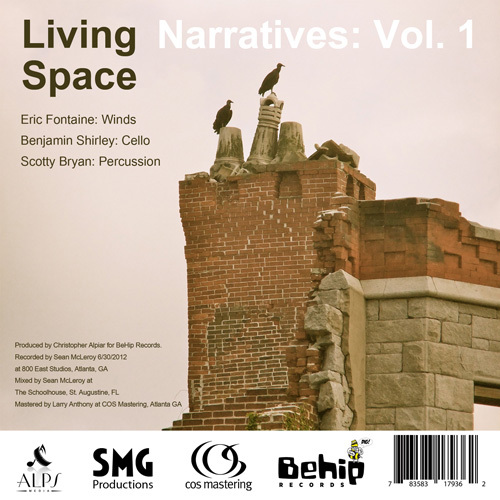 Living Space was born in early 2012 when saxophonist Eric Fontaine came to check out a local jazz jam session and met a guitar player named Benjamin Shirley. 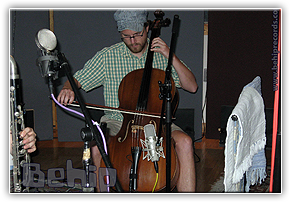 Upon learning that Ben was also a very experienced cellist and shared an interest the music of the avant-garde great Anthony Braxton, the two immediately exchanged phone numbers and scheduled a time to jam. 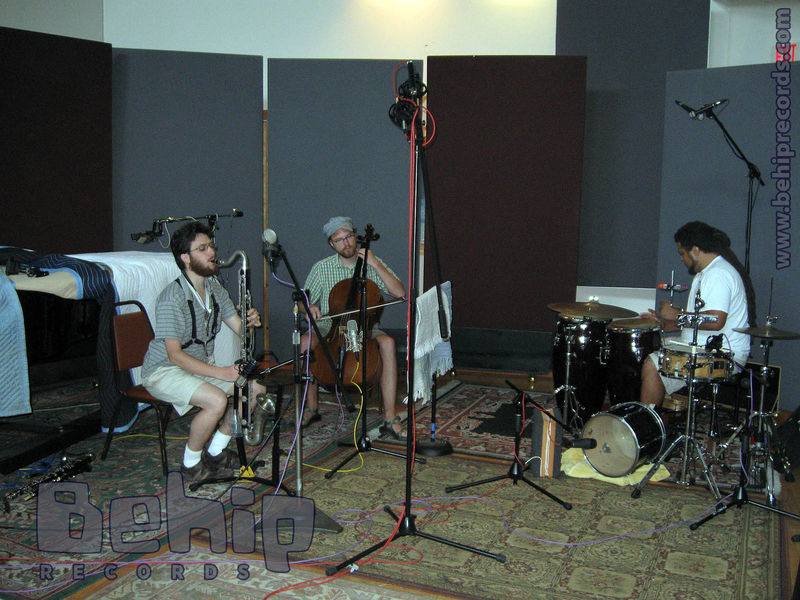 They discovered a unique sound due to the special combination of instrumentation, with the cello functioning both as the bass and as a melodic instrument, and the saxophone or clarinet (especially the low-pitched clarinets and saxes that Eric likes) likewise switching to the oppose role in response. 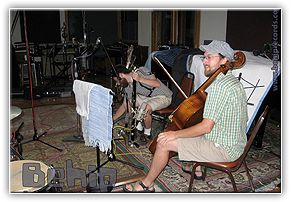 Wanting to expand to a trio, Scotty Bryan was a first choice with his sensitive musical ear and versatility with a wide variety of percussion instruments. 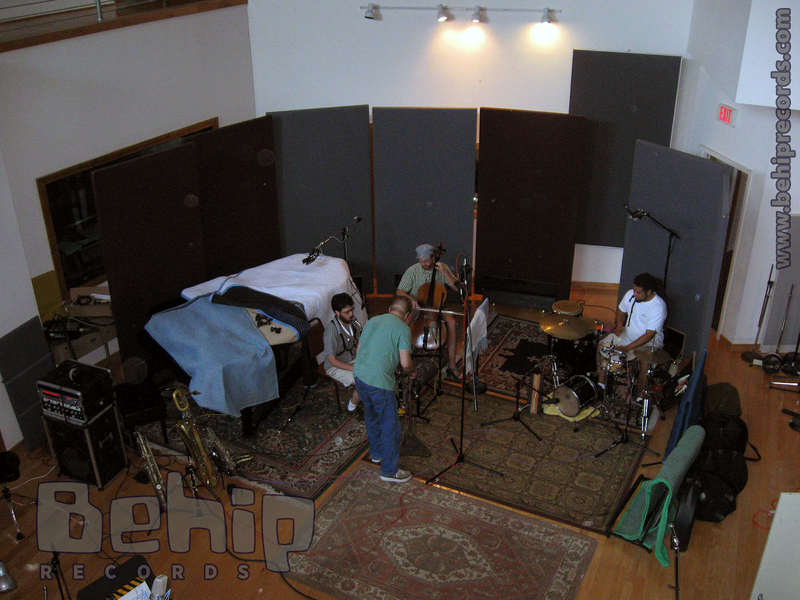 Living Space explores the possibilities of their pristine acoustic instrumentation through creative improvisation and new compositional techniques, resulting in a music that is spontaneous and magical. Narratives: Vol. 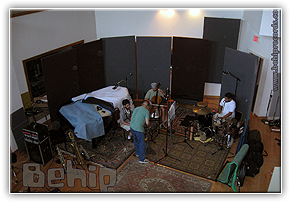 1 is their first official recording and is indicative of BeHip Records' dedication to the best acoustic sound in improvised music. 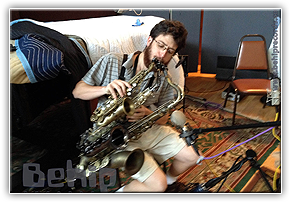 Eric Fontaine is a saxophonist who has been working in Atlanta's music scene since 2003 with various groups playing such generes as funk, latin, avant-guarde, rock, hip-hop, afro-beat, blues, and of-course jazz. Originally starting off on piano when he was 5 and trained in classical piano till college, he was exposed to his father's jazz records when he was little and began playing saxophone in his school band at 10. 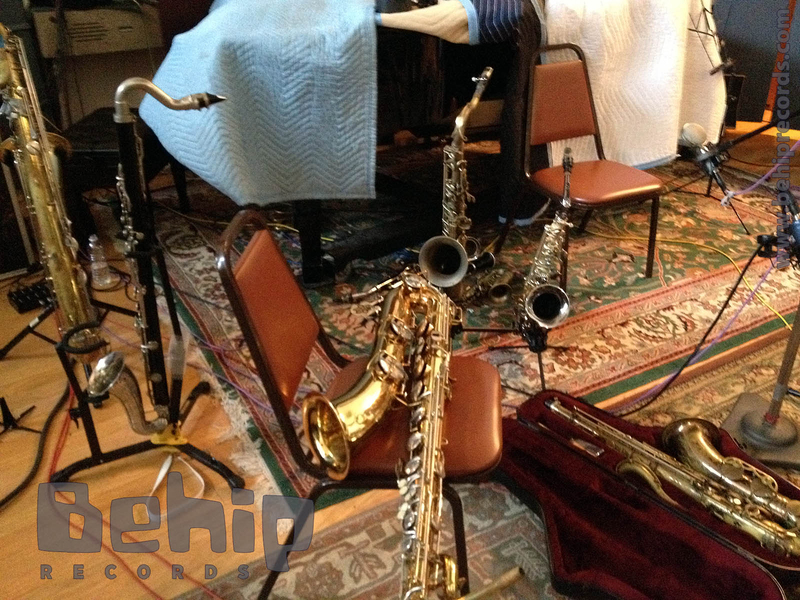 In highschool, Eric was accepted to the 1999, 2000, and 2001 International Honor Band held in Berlin and Vienna, as well as other local honor bands including the 2003 Georgia All-State Jazz Band and the 2003 Atlanta Youth Jazz Orchestra. 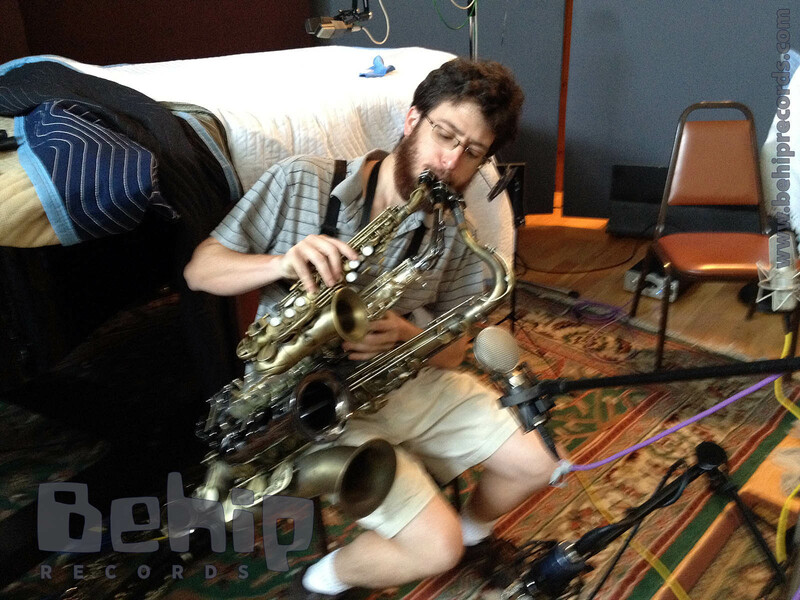 Eric is a former student of the renowned saxophonist Sam Skelton who he was able to study with thanks to a Music Minor scholarship award at Georgia Tech (where Eric has a BS and MS in Computer Engineering) which also required a semester of classical saxophone repertoire at Georgia State. 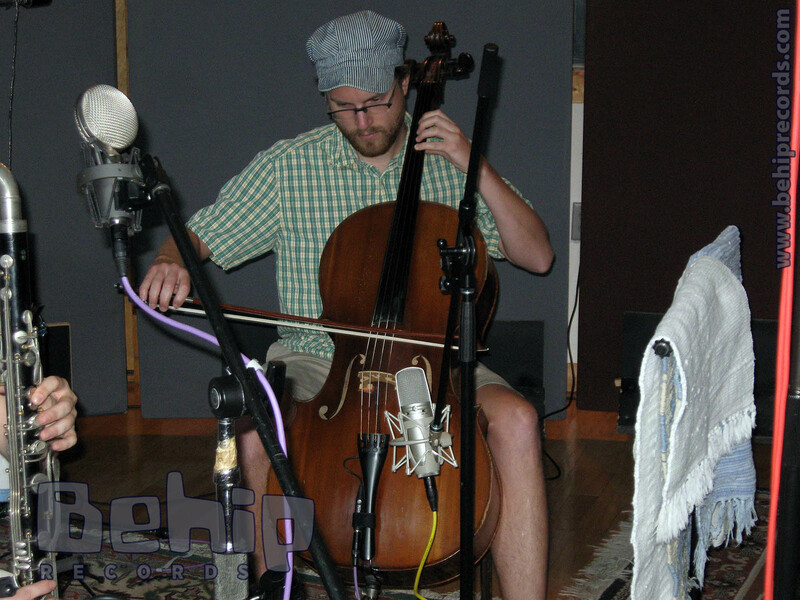 Benjamin Shirley plays cello and guitar. 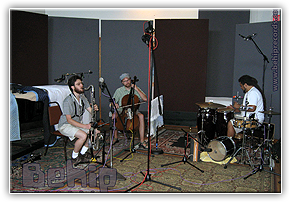 In addition to music studies at UNC Chapel Hill, he has studied with the great composer and improviser Anthony Braxton. 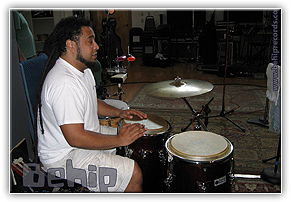 Ben brings to Living Space his passion for creative improvisation and knowledge of music from Brazilian pop to drone metal to Indonesian gamelan music. 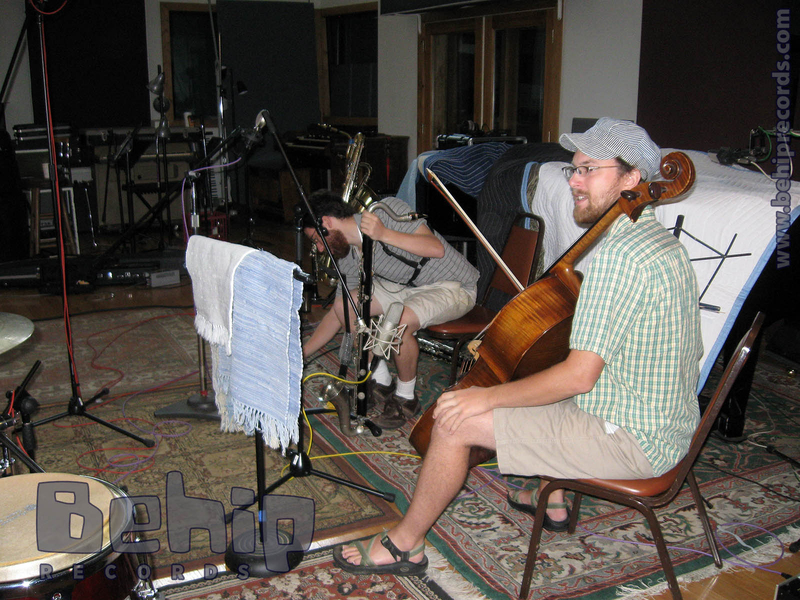 While a relative newcomer to Atlanta, Ben has had the opportunity to play with many bands and musicians there and currently teaches beginning strings to children at a private academy. Scotty Bryant plays drums and all manner of percussion. 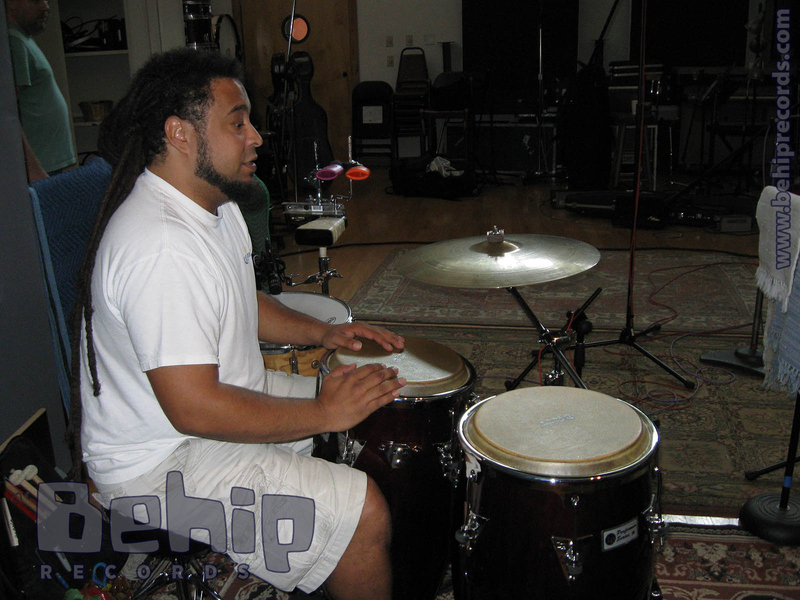 He studied ethnomusicology and music at James Madison University in Harrisonburg, Va. 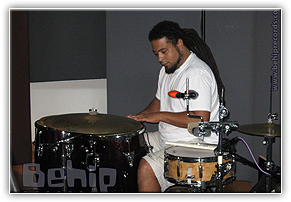 He plays in various bands around town, including the reggae group Bird City Revolutionaries, The Ruination, The Atlanta Funk Society, and Abby Wren & What it is. He currently teaches elementary piano lessons privately in addition to bartending. All materials presented on this page © Copyright 2019 by BeHip, LLC.. All rights reserved. 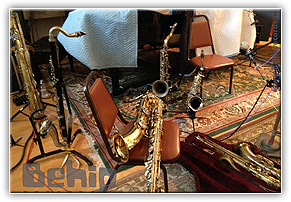 We are very pleased to be releasing new albums this spring from several top-notch artists new to BeHip Records including "Uncharted", a debut album for BeHip by Joe Gransden, Michael Feinbergs "Humblebrag", and Stephen Wood's group "Chlorophyll" as well as several new releases by veteran BeHip artists Akeem Marable, Eric Fontaine, Christopher Alpiar and more! Keep your eyes out on Facebook for upcoming release info! Do it! I dare ya!